Lycabettus Hill is known for its stunning panoramic views, sloped walking trails and a teeny-weeny coffee shop with comfortable sofas. For those less inclined to walking up, ascend from the comfort of a funicular. You might see a wedding party at the Chapel of St. George if you’re in luck. Fitness enthusiasts can exercise on the adjacent pine-covered Ardittos Hill, where ancient Greek judges took their oath in the names of Zeus, Apollo and Demeter. Ardittos towers above the sparkling white stadium, offering lovely views of the city from its top. Athenian runners love going for a jog around the horseshoe-shaped track just behind the stadium. Ardittos Hill is 800m away from Casa D’ Irene Apartments. TIP: The running track is open from 8:30-sunset. According to ancient belief, Filopappos Hill was home to the Muses. Giving credit to the claim – the views from up here are definitely inspiring. Enjoy the winding path between olive and cypress trees, leading you up to the Filopappos Monument at the top. This towering mausoleum is a reminder of Greece’s time in the Roman Empire. Kolonaki makes it easy to exercise your credit card. Those with money to burn can flit from Gucci to Dior with Athenian yupsters and hipsters, and relax with a coffee on a shaded terrace. It’s also one of Athens’ loveliest walking districts. 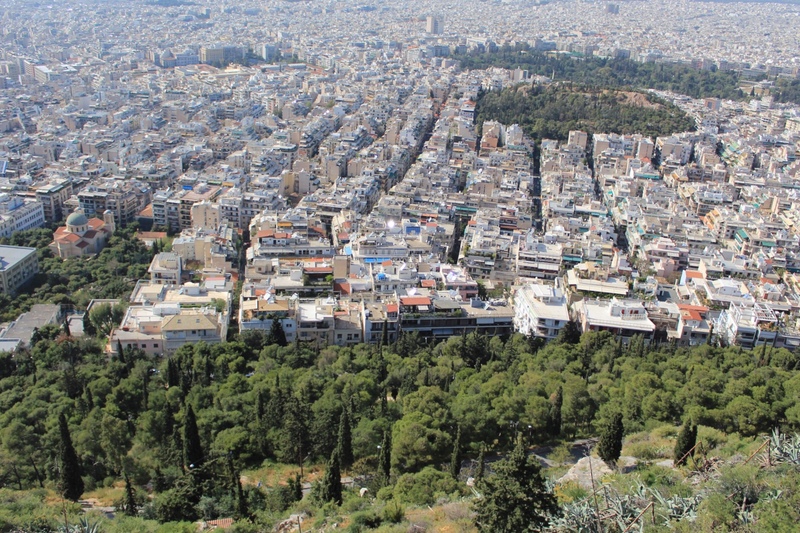 Kolonaki’s tree-lined streets work their way up Lycabettus Hill – amble up the paths for panoramic city views. 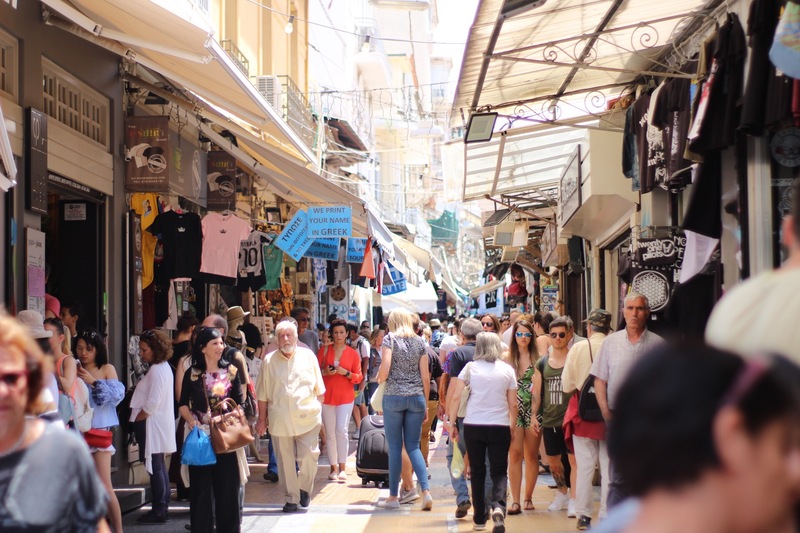 Start in Monastiraki Flea Market then head to Ermou street for a variety of shops as well as street performers. Don’t miss out on the Attica department store and the historic café at Zonar’s. Voukourestiou Street in Kolonaki awaits for luxury brand shopping. Hop on the tram from the centre of Athens (station Neos Kosmos) and in just under an hour you’ll be enjoying sea views from your comfortable seat on the air-conditioned carriage. You can hop off in Glyfada for lunch or shopping, pop to the beach for a dip, or visit Alimos Marina on the way. 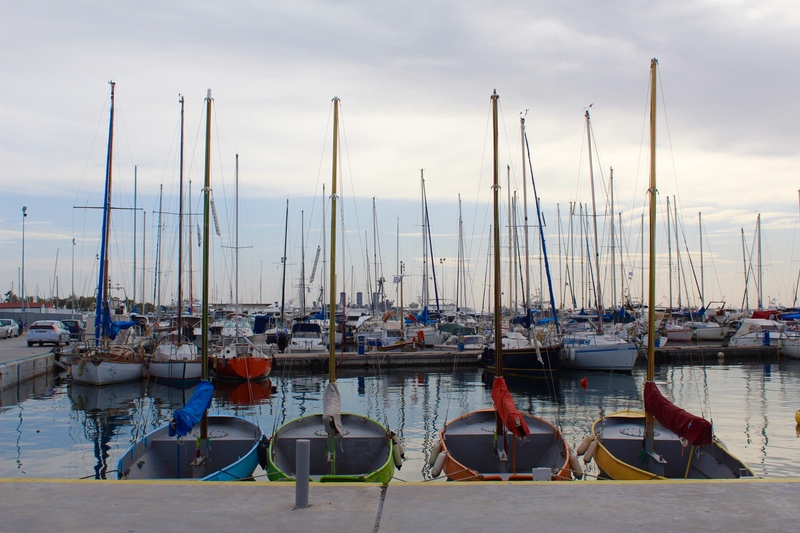 Flisvos Marina is ideal for a walk on the promenade right by all of the luxurious yachts. There’s loads of stylish cafés, cocktail bars and restaurants, as well as high-end shops. Grab an ice-cream and sit on the seafront benches to enjoy the sunset with Piraeus as the backdrop. Can’t handle the heat of the city? Lucky you’re in Athens then, because the beaches of Vouliagmeni are only a tram-ride away. Home to the city’s elite, you’ll find chic hotel bars and cabana-lined beaches. The best public beaches are the coves between Vouliagmeni and Varkiza, where you’ll see a lot of Athenians enjoying a dip. 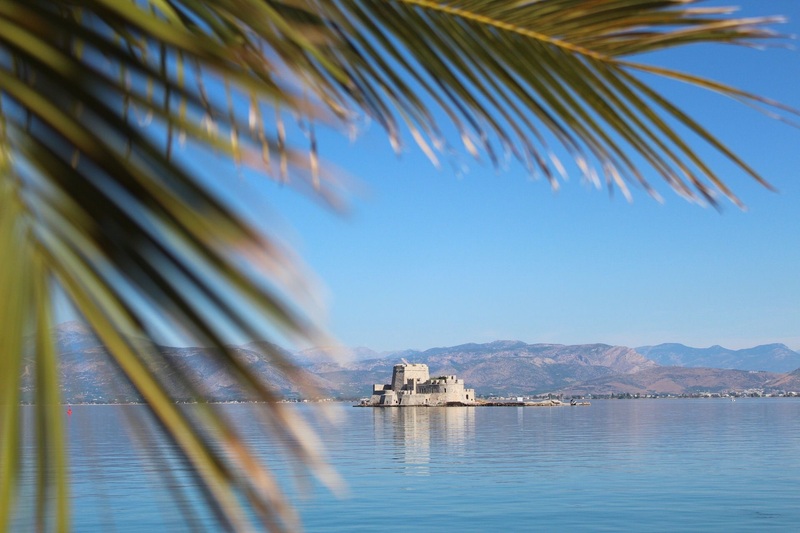 Start off early, and head to Nafplio, Greece’s first modern capital. Start with a visit at the Palamidi fortress, climb up the 999 steps to enjoy all-encompassing views over the city and the Gulf. After this, head back to the city center which, you would have guessed is ideal for an exploration tour on your own. Meander the small streets and admire the neoclassical houses and their blooming balconies. Nafplio is a charming, picturesque town where you should focus on getting lost because you will surely find your way back. Delphi, known in ancient times as the navel of the world. First pass by Castalia Spring, visit at the archaeological site and view the monument of the Argive Kings, the treasury of the Athenians, the Athenian Stoa, the Polygonal Wall, the monument of Platea and the Temple of Apollo famous for its oracle and Delphi museum, with it’s spectacular exhibits include the frieze of the Treasury of the Sifnians, the Naxian Sphinx, the Statue of Antinoos the metopes of the Athenian treasury, the famous bronze Charioteer. A drive to Sounio is my favourite getaway from the city. You will enjoy the seaside route and the breathtaking views from the Temple of Poseidon. On your way back, you can stop at one of the nearby seafront taverns to sample fresh fish accompanied by a glass of ouzo. Take advantage of our exclusive 15% discount & experience the greek hospitality!